Thanks to 3D printing marketplaces like Gambody and—to some extent— MyMiniFactory, gamers from all around the world have been able to 3D print replica models of their favorite video game characters and weapons. Gambody has effectively linked these gamers with 3D printing technology, providing high-quality STL files for characters and props from a plethora of gaming titles. They’ve even branched out into popular fictionalized spaceships, as well as models of historic tanks from the Soviet Union and Israeli army. All-in-all, their niche 3D printing marketplace contains with a wide-range of scaled models that are just as fun to put together as they are to print. But, one obvious area that desktop 3D printing is currently lacking is its ability to produce colorful models right off the print bed, as we’re generally restricted to printing in one type and color of thermoplastic per print. As of now, the optimal way to overcome this issue is by hand painting your 3D printed models, which is a whole other venture in and of itself, but one that Gambody has been extremely effective at. Their 3D printed video game models look as if they stepped straight out of your TV screen, every detail and color matching the original digitalized version. In order to provide their community with the skills to actually bring their 3D printed models to life, Gambody has just launched their new online workshop on their YouTube channel, which will teach viewers how to properly paint their 3D printed models. The first workshop will teach their community how to give a realistic paint job to a miniature model of Kratos, the protagonist from the popular action game God of War. The 3D printing marketplace released the STL file for the Kratos model back in March, and in order to prove the flawlessness of their digital files, Gambody has decided to print and paint the model themselves, walking their audience through the entire process. The tutorial begins with the printing of Kratos, which was done on their in-house Ultimaker 3D printer. 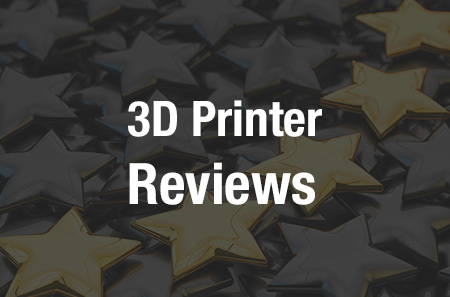 Even with an abundance of support material used during the print, the finished model looks clean and has magnificent attention to detail, without any surface errors or defects. Then, the Gambody team walks the viewer through the painting process, utilizing simple and affordable acrylic paints and a white primer. The painting part of the tutorial begins by applying four coats of the white primer, which will allow the paint to adhere to the model with ease. In order to truly reflect that character’s look, the Gambody team mixes and matches colors, enabling them to accurately replicate his battle-worn face or torso scars. Even the splattered blood on his weapon, the Blade of Chaos, is recreated in the paint job. In order to create the metallic and bronze effects on the figurine, Gambody produced special color combinations to apply to the necessitated parts of the model. The 30-plus-minute tutorial video features a time-lapse of the entire painting process, showcasing every color and stroke needed to make a realistic Kratos model. The 3D printed miniature files are currently available to download from Gambody for $24.99. There was certainly a lot of time and skill that Gambody put into replicating Kratos in such great detail and accurate color, but now, with their new online workshop, any maker, gamer, or 3D printing enthusiast will be able to paint their favorite characters to completion. With their new video series, Gambody looks to provide their audience with an educational and artistic look into their painting process. The end product of Gambody’s endeavor was a figurine that looked as if he just literally stepped out of your TV screen, prepared to use his bloodied Blade of Chaos in the real world. Discuss further over in the Painting 3D Prints forum at 3DPB.com.